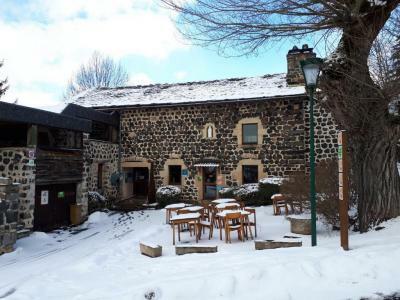 The VVF Villages les Sources de la Loire is superbly located in the village of Les Estables in France's Massif Central region. There are a few local shops, all types of shops and amenities can ve found 15 km away in the village of Le Monastier. The holiday village is made up of 59 apartments divided between several small two storey buildings. There is also a small hotel of 21 rooms. There is a fitness and wellness area with an indoor swimming pool, steam room and a gym. Access is free to the pool and the a fitness instructor is available in the gym. 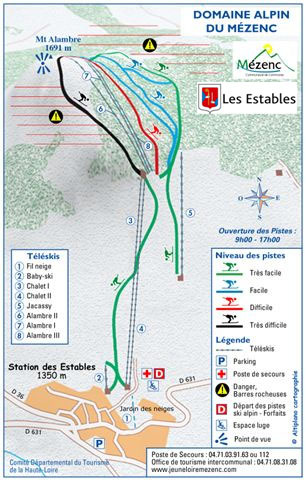 The ski slopes and lifts are 2 km and there is a free shuttle from the village. 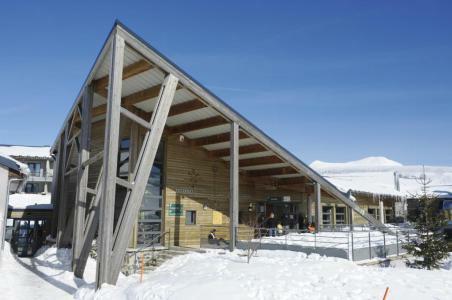 The ski area is a small family area ideal for children and beginners.